Yeo Wool went missing and Kang Chi immediately assumed that it was his father who abducted her. As he searches the forest, he will see Wol Ryung choking Yeo Wool and an epic battle ensues between the two. 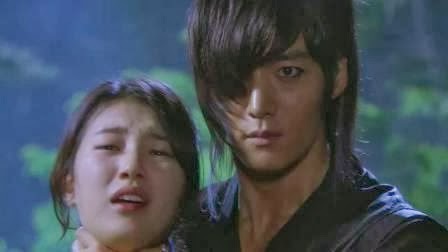 Wol Ryung temporarily retreats and Kang Chi wasted no more time and told Yeo Wool how important she is to him. Kang Chi then seals his confession with a kiss.